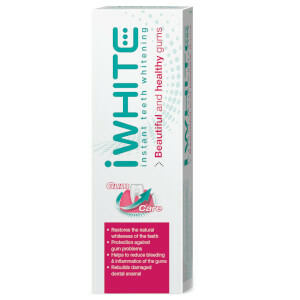 Get whiter and brighter teeth with iWhite right here on HQhair. 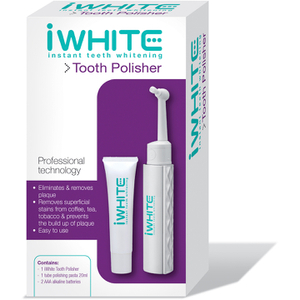 Scientifically formulated to whiten teeth within just one use, this revolutionary brand offer a range of oral care, including a toothpaste, whitening kit, mouth wash and polisher that can be used within the comfort of your own home. 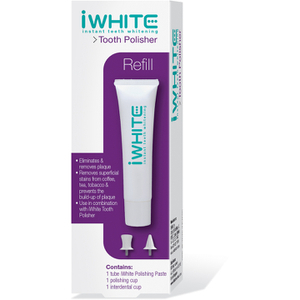 iWhite works through an innovative technology that does not require any hydrogen peroxide (that can be cause irritation of the gums), yet is more efficient. Small white bio-active crystals are used in combination with a strong film forming polymeric agent, the technology allows the crystals to fix onto the tooth's surface and therefore whitens the surface. 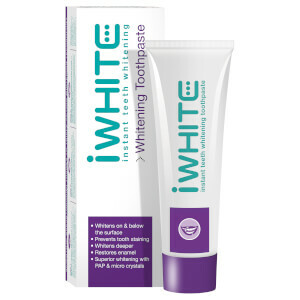 Combined with P.A.P, a strong stain-removing molecule, iWhite is able to break down any discolouration without damaging the tooth's structure. Why Should I Use iWhite? Reason 1: 100% dental safe. 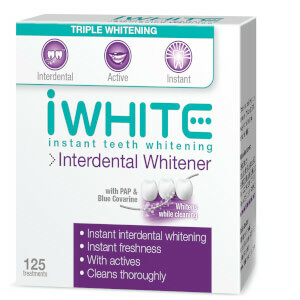 Reason 2: Immediate whitening effect. Reason 3: High source of calcium and strengthens teeth. Reason 4: No peroxide and will not cause sensitivity. Reason 5: Use as often as you want. 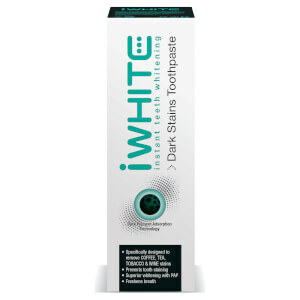 iWhite Instant Teeth Whitening Toothpaste is designed for adults and children over 12 years old. Perfect for twice daily use, this innovative toothpaste contains a unique whitening formula which fights against plaque and tartar as well as working to strengthen the teeth and restore enamel. 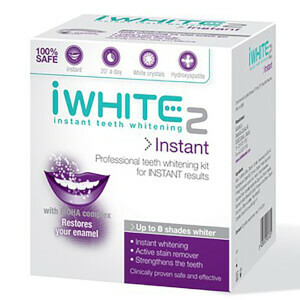 iWhite Instant Teeth Whitening Kit provides an instant whitening effect that strengthens your teeth and removes stains. Easy to use and 100% dental safe, the gel is designed for use with the thin and flexible tray mouthpieces, which ensure a comfortable fit, and can be worn for up to 20 minutes a day five times a week. Designed to leave your teeth looking up to eight shades whiter, this treatment will give visible teeth whitening results in the comfort of your own home.